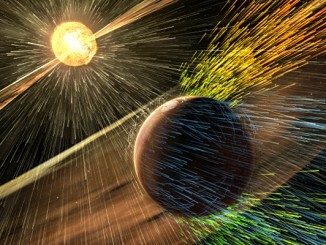 Data collected by NASA’s MAVEN spacecraft in its first two years at Mars confirm suspicions that the solar wind is blasting away the planet’s atmosphere and helped transform the world from a warmer, wetter and potentially habitable world into the barren landscape seen today, scientists said. 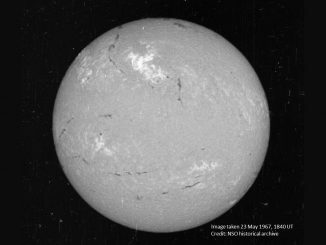 The solar storm of 23 May 1967 that jammed radar and radio communications at the height of the Cold War could have led to a disastrous military conflict if not for the U.S. Air Force’s budding efforts to monitor the Sun’s activity, a new study finds. The ensuing geomagnetic storm was so strong that the northern lights were visible as far south as New Mexico. In a global exoplanet observation experiment, NASA’s Kepler K2 mission and Earth-based observatories on six continents hope to survey millions of stars toward the centre of our Milky Way galaxy. 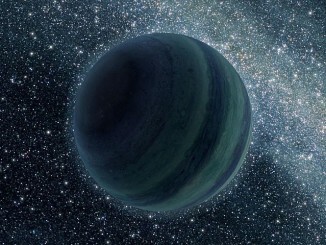 Using a technique called gravitational microlensing, scientists will hunt for exoplanets that orbit far from their host star and for free-floating exoplanets that wander between the stars. In this season of post-Christmas gym memberships, black holes have shown that they too can lose a lot of the weight of the stars that surround them. 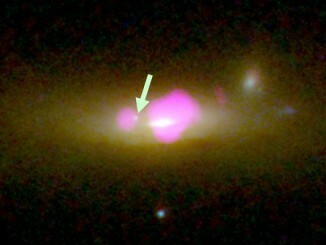 One unusually star-deprived black hole at the site of two merged galaxies could provide new insight into black hole evolution and behaviour, according to observations with the Hubble Space Telescope and Chandra X-ray Observatory. NASA’s Mars Atmosphere and Volatile Evolution (MAVEN) mission has identified the process that appears to have played a key role in the transition of the Martian climate from an early, warm and wet environment that might have supported surface life to the cold, arid planet Mars is today. 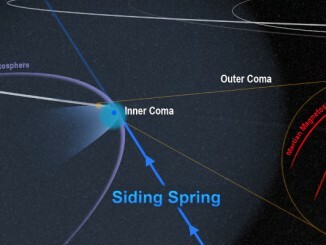 Researchers have determined the rate at which the Martian atmosphere is losing gas to space via stripping by the solar wind and that the erosion increases significantly during solar storms. A new close-up image of Pluto from New Horizons reveals a vast, craterless plain that appears to be no more than 100 million years old. 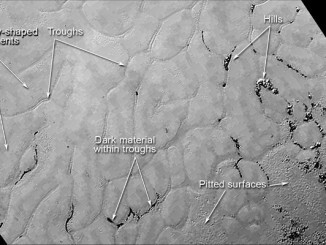 This frozen region is north of Pluto’s icy mountains, in the centre-left of the heart feature, informally named “Tombaugh Regio” (Tombaugh Region) after Clyde Tombaugh, who discovered Pluto in 1930. 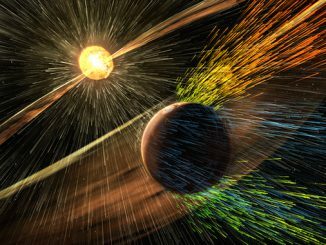 Unlike the Earth, Mars lost a global protective magnetic field billions of years ago, so solar particles can directly strike the atmosphere. 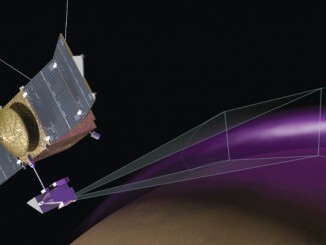 NASA’s MAVEN spacecraft recently detected extensive auroral activity in the Red Planet’s northern hemisphere, plus an unexplained high-altitude dust cloud. 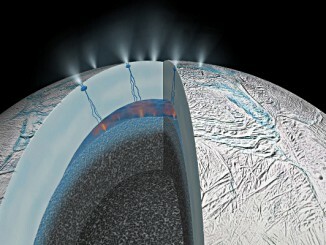 NASA’s Cassini spacecraft finds the first evidence of active hot-water chemistry beyond planet Earth on Saturn’s ocean moon Enceladus — results that have important implications for the habitability of icy worlds.